The guard would have made $4.36 million in the upcoming season. With the money that the Pacers' will save, they will likely pursue key free agent. On Monday, it was announced that they Indiana Pacers have declined their team option on Lance Stephenson's contract. The guard would have made $4.36 million in the upcoming season. Shams Charania of Yahoo Sports first reported the news. After leaving Indiana the first time, Stephenson would play for five organizations over a three-year stretch. He rejoined the Pacers in March 2017 on a three-year deal with a third-year team option. With shooting guard Victor Oladipo and Bojan Bogdanovic on the roster, the Pacers' need for another option in the backcourt was very minor. The two fill the need that Stephenson filled with better efficiency. Considering Stephenson's struggles outside of Indiana and the lack of salary-cap space around the league, the guard may be facing a chilly market this summer. With the little money that they save, the Pacers will reportedly target free-agent wings Tyreke Evans and Will Barton this summer, according to Chris Haynes of ESPN. Evans should be the first option for Indiana. 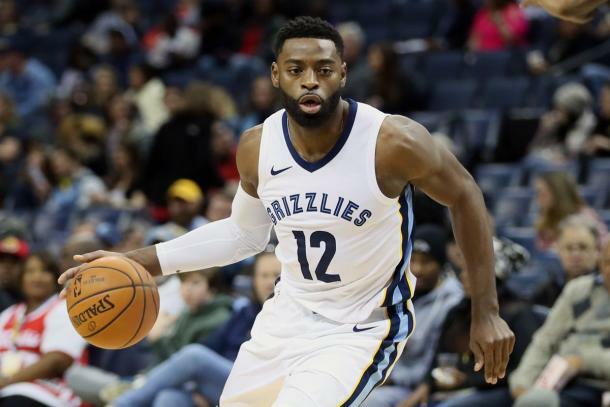 Evans, 28, had an excellent season for the Memphis Grizzlies in the 2017-18 season, averaging 19.4 points, 5.2 assists and 5.1 rebounds in 52 games while shooting 39.9 percent from three. His ability to both score and facilitate for his teammates would certainly take some pressure off of Darren Collison, Oladipo and Bogdanovic. Barton, meanwhile, is a streaky scorer who often lit up opponents off the bench for the Denver Nuggets. The 27-year-old averaged 15.7 points, 5.0 rebounds and 4.1 assists in 81 games (40 starts), shooting 37 percent from there point territory. It's undetermined how much cap space the Pacers will have to lure players like Evans or Barton to Indiana. If the Pacers are able to get up to $30 million in cap space, they could be major factors in free agency, with a small number of teams actually possessing the funds to chase high-profile free agents this summer.